IVF treatment to be provided faster, but limited for over-42s. Foreign Ministry warns against Thai surrogacy. Under the new guidelines, if a woman over the age of 42 has undergone IVF treatment four times with no results, or has undergone treatment eight times without a clinical pregnancy, a team of medical personnel may decide not to fund further IVF treatment. At the same time, women over the age of 39 will be able to undergo state-funded IVF treatments more quickly. Previously, women suffering infertility were not eligible for IVF treatment before attempting other forms of treatment such as hormone pills; now, women age 39 or older will be able to begin IVF as soon as they are diagnosed with infertility. The maximum age for government-funded IVF treatment, for women, remains 45. The Foreign Ministry has issued a warning to Israelis not to seek surrogacy service in Thailand. The issue of babies born to Thai surrogates made the news this week with the discovery that dozens of homosexual Israeli couples had paid Thai surrogates to birth babies for them – but were unable to bring the babies to Israel. Gay activists in Israel have largely blamed the Interior Ministry for not giving the babies citizenship. However, the Foreign Ministry warned that Thai law was the issue. “In order to solve the difficulties created for babies born in Thailand to Israelis in the surrogacy process, Israel’s embassy in Thailand has been in contact with authorities in that country for some time… The fact is, under Thai law, these babies are Thai citizens in every sense,” the ministry said in a statement. The official Thai position “is that Thai mothers, who birthed the babies, have full parental rights to those babies, including the right to custody,” ministry officials explained. “It seems that the groups that facilitate the surrogacy process created a process without fully investigating local law first,” they added. Israelis who have fathered children with Thai surrogate mothers may bring the children to Israel, the ministry clarified – but first, they must present agreement from the mother to the child’s permanent removal from Thailand to Israel with the father. 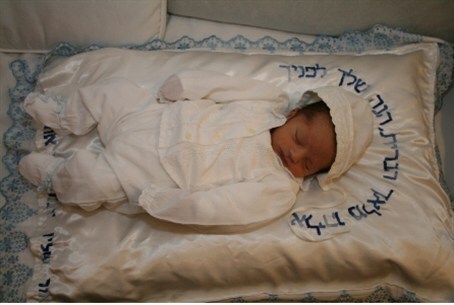 Those who obtain the mother’s consent will be given an Israeli passport for their child. However, ministry staff noted, the Israeli passport does not mean that Thai authorities have agreed to allow the child to be taken from the country.